Can you walk me through everything that’s happened from Draft Day till now? Holmes: Draft Day was a tough. Heading into it, we thought we had a pretty good chance of going late first round/beginning of the second round, but some unexpected trades happened and I ended up going undrafted. After that, the next thing to do was try and get ready for summer league. I was in San Antonio on Draft Day, and two days later my agent called and said the Celtics had a good opportunity for me to play. That’s really the biggest thing you need as an undrafted guy—a chance to play—so we jumped on that right away. (Boston lost in the quarterfinals to the Becky Hammon-coached Spurs, the team that ended up winning the tournament). After that, we were just waiting for some deals. Then we got some, we chose Los Angeles, and now I’m here hanging out, waiting for training camp. Holmes: I wake up 8:30 and work out with one of the coaches, then go to the weight room and get a little work out there. Right now, there’s a lot of open-gyms going on at the Clippers’ facility, so some of the guys on the team and I might go over there and play with some of the guys there. Then I’ll usually come back here, eat lunch, rest, take a little nap and then head back to the facility. I’m really just trying to put some shots up. Afterword, I’ll come back here and kick it pretty low key. Right now everything’s still pretty unofficial. How the vibe in LA? Have you played with Kobe yet? Holmes: No, I haven’t seen him yet. It’s actually really cool though, because there are a lot of young guys right now. I mean there are definitely veterans here, like Roy Hibbert, Ryan Kelly, Brandon Bass, and Nick Young, but for the most part, most of the guys on the team are young. It makes it different than if you were coming into a team that was nothing but veterans, cause most of these guys are going through what I’m going through. Do you have a basketball role model? Holmes: I definitely model my game after Draymond Green, but there are guys from San Antonio who paved my way to get [to professional basketball]. When people think about Texas they think about football, but I watched guys like André Roberson and Jordan Clarkson (who also plays for the Lakers) when I was growing up. We played for the same AAU programs, and so just seeing them make it coming from San Antonio pushed me and motivated me to live out my own dreams. If Michael Frazier makes the Lakers roster in 2015-16, it’s going to be as a spot-up three-point shooter. As a junior last season, Frazier shot 38 percent from deep. That’s an OK mark for a guy who wants to make his living by being a sniper from beyond the arc. The real intrigue lies in how that number is actually low for what Frazier is actually capable of. In 2013-14, Frazier’s sophomore season, he shot an excellent 44.5 percent from three on nearly seven attempts per game. His freshman year? 46.8 percent on 3.1 attempts per contest. Clearly, his numbers trended in the wrong direction in his final collegiate season, which could have contributed to him dropping out of the draft. After all, he is likely a specialist in the NBA, and slipping more than 6 percentage points on your bread-and-butter shot is concerning. However, Frazier’s conference play numbers (around half of the collegiate season) show that he was still the deadly three-point shooter that he was from years prior. In 11 conference games, Frazier shot 45.1 percent from three on 4.6 attempts per game. If the three-ball is kind to Frazier in training camp, it is possible that he will put some heat on Jabari Brown for a reserve role. Brown, who shot 37.1 percent from deep for the Los Angeles Lakers last season, is best suited as a shooter off-the-bench, making the addition of Frazier interesting for his roster prospects. Of course, Brown is the more experienced player, so it’s unlikely that Frazier walks into camp and performs better all-around than the second-year guy. However, it’s possible that the Lakers could look to move other veterans if the sharpshooter from Florida impresses enough to warrant a permanent stay in Los Angeles. With the Lakers roster currently 1 spot over the 15-player threshold, the piece goes on to note that Robert Sacre and Ryan Kelly — two Lakers who, despite having experience, could be expendable due to position crunches — could be roster casualties if Fraizer (and Holmes) manages to prove himself a worthy roster mainstay throughout the preseason. If Nance is indeed looking to extend his range and become a consistent mid-range shooter, David West is about as good of a player to study. The majority of West’s shots in his career have come between 16 feet and the three-point line, and he has shot nearly 48 percent from that distance throughout his career. Nance developing a mid-range game similar to West would be a massive addition to his game as, unlike West, Nance has great athleticism as well. Nance being great on both the pick-and-roll and pick-and-pop would make him a very dangerous player. Nance getting to David West status as a mid-range shooter may be a little far-fetched, but as long as he can become a consistent shooter, it will surely help him have a long career in the NBA. Nance would also be wise to learn from his teammate Brandon Bass, who is an excellent mid-range shooter in his own right. ESPN’s much-hyped Summer Forecast of the NBA’s ’15-’16 Western Conference standings debuted this week. The mothership turned in a scathing projection for the Los Angeles Lakers‘ record, declaring the team would achieve a mere 26-56 record, giving them the second-worst record in the Western Conference. The #TeamTank enthusiasts out there may enjoy this news. The Lakers first-round pick in the 2016 NBA Draft is top-3 protected and at 26 wins, or the fourth-worst record in the league, the franchise would solidly be in the running to once again retain said pick at lottery time. However, I have my doubts that the Lakers will flounder as badly as ESPN projects, or to the depths of the previous two seasons. This Lakers team should be able to win more than 26 games during the upcoming season due to three primary reasons. Ghosh goes on to detail three specific reasons for his bullishness on the upcoming year — Hibbert, Pace and Space, and Health — with quite sound reasoning, and the piece is well worth your time. Since Bryant entered the league in 1996, the NBA has moved the three-point line back to its original distance (in the 1997-98 season), gradually outlawed hand-checking (through rule changes in 1997, 1999 and 2004) and dramatically altered the restrictions on zone defense (2001). No longer afraid of illegal defense calls, roaming defenders now feint toward post-up threats, leave their assignments entirely and shift position in concert with their teammates. As a result, the types of shots teams seek out are different. Slinging it into the block and standing around is a worse option now, because it’s no longer obvious where the double will come from, and when it does, it can be a soft one, or even a trick. Big men are hoisting more threes than ever. Isolation play has fallen out of favor. Pull-up jumpers are now roundly recognized as poor percentage plays. Yet there’s Kobe taking 10.4 pull-up shots per game in 2014-15, ranking second in the league behind the possibly-in-need-of-an-exorcism version of Russell Westbrook we saw last year, according to NBA.com. And there he is again using 5.5 isolation possessions per game, fourth-most in the league, despite shooting 34.8 percent and ranking in the 57th percentile on such plays. He’s held steady, playing his game his way. And for the vast majority of his career to this point, he’s been good enough to get away with it (#Ringzzzzz). Last year, as the Lakers floundered and Bryant raged against efficiency norms for 35 games before his season-ending shoulder injury, he caught increasing flak. However, he continues responding to this flak with the same unshakable defiance that helped him fire up those shots in the first place. This season is going to be a struggle for me. Having watched Kobe since my time catching KCAL Summer League programing in 1996, I’ve taken the good with the bad. The good so far outweighs the bad in terms of the man’s career. There is nothing Kobe can do in the next season or two that could remotely tilt the balance away from his positive accomplishments. On the other hand, it would be a shame if that same stubborn will that contributed to the good will become the memory of the man left to my young children who have not stored the good Kobe contributions to their long term memory. I want to see that lanky gait and defiant jaw on my screen. I want to visit an NBA arena and watch him play live for the last time. I want a chance to say good bye to the player whose stubborn will to win defined these last two decades of NBA ball in a manner that only Tim Duncan can lay equal claim to. Yet, its that Tim Duncan type of deferment to the greater good that I want to see from Kobe as well. I would like to see Kobe be able to develop the next generation in a meaningful manner. Nance just might be smart enough to be adapting his game to West’s knowing full well that Byron coached him in New Orleans. At least we know that Byron knows how to effectively use those skills. I think 35 wins is the absolute peak of what the Lakers can accomplish this season. Focus on developing skills and a winning culture. Those are the key accomplishments for this season and lets have fun watching the young guys grow and the old man do his thing. 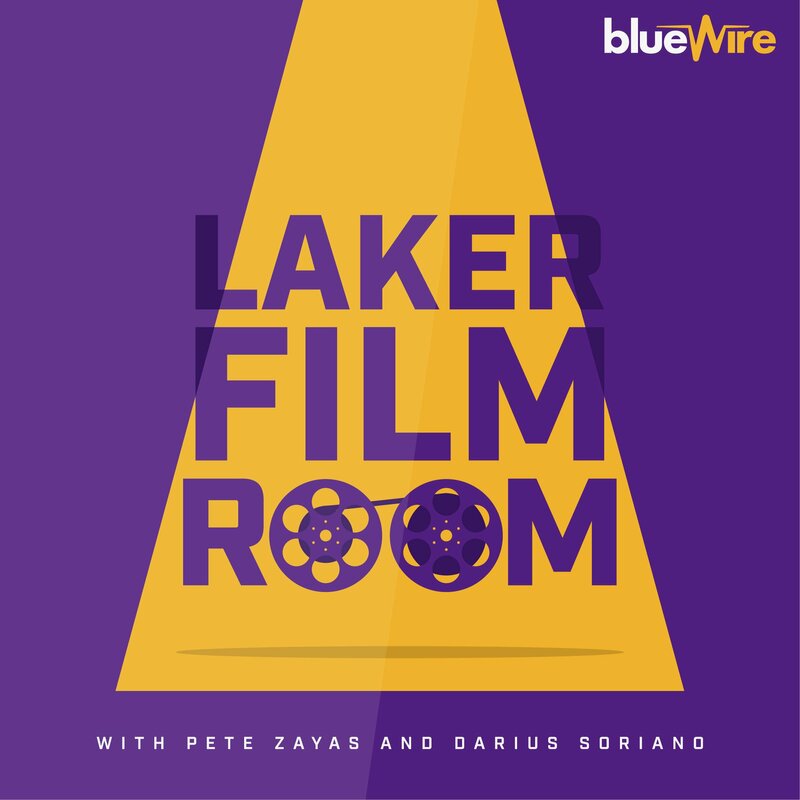 It looks like Ghosh does a better job of explaining why the Lakers will not reach 30 wins. Hibbert at best is a 30 min/game player. Even if he is all that as a defender, the Lakers do not have anyone with those abilities backing him up. Pace is a two edged sword. The key thing it can give a team is more opportunities against an unsettled defense. Given that the Lakers transition defense is among the worst, it means that opponents will also have more great scoring opportunities. Lastly the comments about health are premature. The Lakers still have the same trainers and programs in place as they have had the last two years when they led the league in minutes missed. Kobe has yet to show that his body and arm are ready for the NBA season and yet he is still expected to be the lead player this season. If we are projected to win 26 games aren’t we better off winning less to give us better odds at keeping our draft pick? No value to me to win 30+ games as we are clearly on a 3+ year plan back to being competitive. Clearly we need to get as much young controllable talent as possible. We aren’t good enough to attract elite FA talent yet. Since our draft pick is only top 3 protected, tanking isn’t a sure thing. There is no way we we finish with the worst 2 teams which only guarantee a top 5 draft pick. So there is a decent chance that we would still lose the pick even if we tank. I say ball out and give philadelphia the worse pick as possible. If we do win more than projected (+35) then it will give us a better chance of attracting a larger audience of free agents to choose from. We were fortunate to land the three experienced players who were willing to look our way. The current stockpiling shows how little confidence the front office has in the bench – meaning the young guns. On a side note, Nick Young is the Village Idiot. I think the team needs to just play things out and focus on developing the young guys already in the fold. Let the basketball gods do their thing in the lottery while the basketball players do their thing on the court. If the team has some reasonable health they can win right around 30 games. One of Clarkson, Randle, or Russell would have to emerge as an up and coming superstar to hope for more than 32 wins. I think 25 wins is low. A team without Randle, Kobe and only half a season of regular PT for Clarkson won 21 games. Adding Hibbert to the mix should add 3-4 wins alone. Kobe and Randle adds maybe 3-4 more with Clarkson’s development being another contribution to the team. I want to watch the team play in the pre-season but for now I think I take the over on 27.5 wins.